Back in June of 2012, we blogged about a recall from Flushmate that involved exploding toilet tanks. That recall involved 2.2 million pressure assisted flushing systems where the pressurized tank could fail and cause the porcelain toilet tank to break apart in an explosion-like manner. Since that recall was made, Flushmate has continued to have problems with its products. As a result Flushmate has issued another recall for approximately 351,000 Flushmate III pressure assisted flushing system tanks. The problem is still the same. That is, the tanks fail at the weld seam and release water under whatever supply pressure is available. The pressure is usually enough to break a porcelain toilet tank and cause substantial water damage to property. 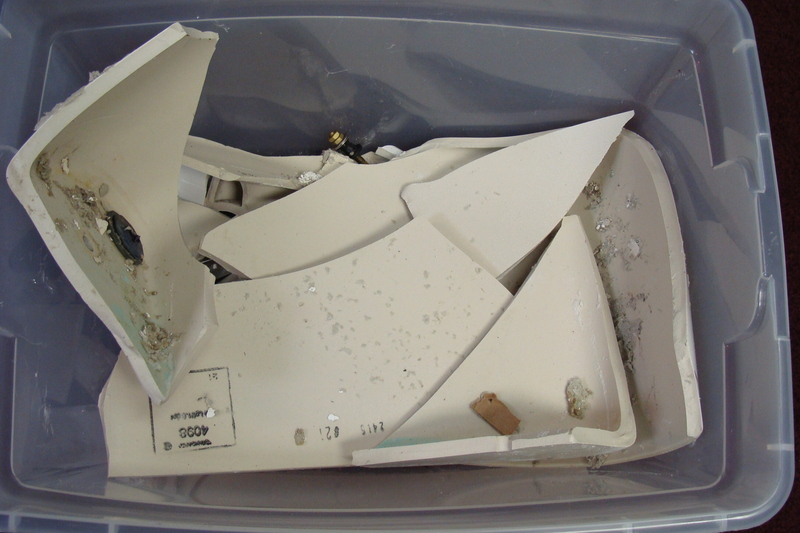 The destruction of the porcelain tank can also cause serious personal injury. ABC News and the Consumer Safety Products Commission have reported that Flushmate has recalled 2.3 million pressurized toilet tanks due to their explosive nature. Back in August of 2011 we blogged about this problem and included some photographs showing how dangerous these products can be. If you look at these photographs, you have to wonder how anyone could survive this kind of explosive force. Imagine being hit in the back with a porcelain chard. Imagine being paralyzed because your spinal cord was severed or having a brain injury because your skull was sliced open by something that is knife sharp and flying like a bullet. To date, 304 reports of bursting and 14 reports of impact or laceration have been received. The recall that was reported involved the Flushmate II and Flushmate III products, series 503, manufactured between October of 1997 and February of 2008. These are the same products that were recalled in the late 90s for the same problem! The units were sold at Home Depot and Lowes Home Improvement stores. The original recall stated that the company would provide a free replacement. The current recall does not state what the company intends to do. However, it is recommended that consumers not accept a replacement Flushmate product. Instead, request that the company replace the damaged porcelain tank along with its product with a new porcelain tank and conventional fill valve and stopper. For additional information, consumers can contact Flushmate by calling 1-800-303-5123 or visit their website at http://flushmate.com/recall/. A few weeks ago, I was contacted by someone who had experienced firsthand what happens when one of these products fails. In the late 1990’s the Sloan Valve Companny recalled their Flushmate II and III products because they could develop a leak . According to the recall information, the leak occurred in a joint connecting the upper and lower halves. The recall went on to say that the separation of the halves was accompanied by a rapid release of the pressurized water. It should be noted that the water in the Flushmate was pressurized by whatever the prevailing local pressure is. In conventional toilets, the water in the tank is not under any pressure. When the Flushmate tank cracked, the pressurized water had a tendency to fracture a porcelain toilet tank into several pieces. Needless to say, anyone in the vicinity of one of these bombs, has the potential for being seriously hurt if not killed. These products are still out there and the public should know that. 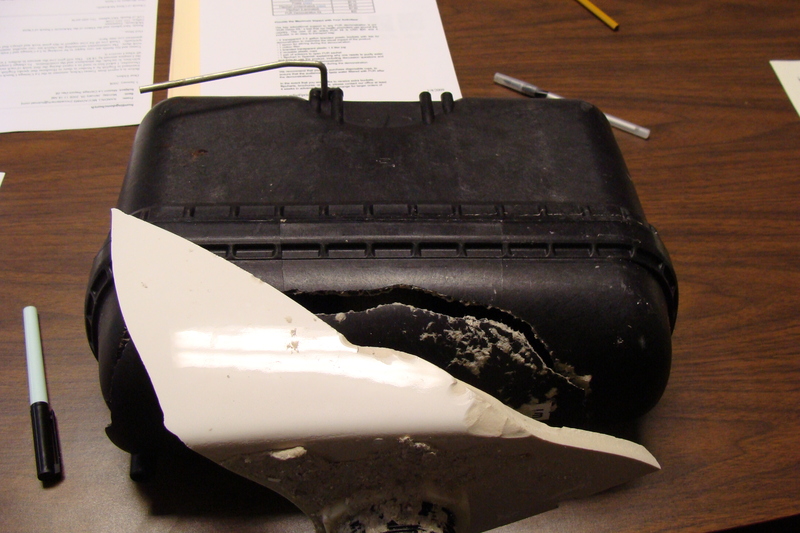 Sloan’s product advisory is still on the web and can be found at http://www.flushmate.com/ProductAdvisory/productadvisory.asp?id=2 The photographs below show a cracked Flushmate and what remains after a the tank exploded.